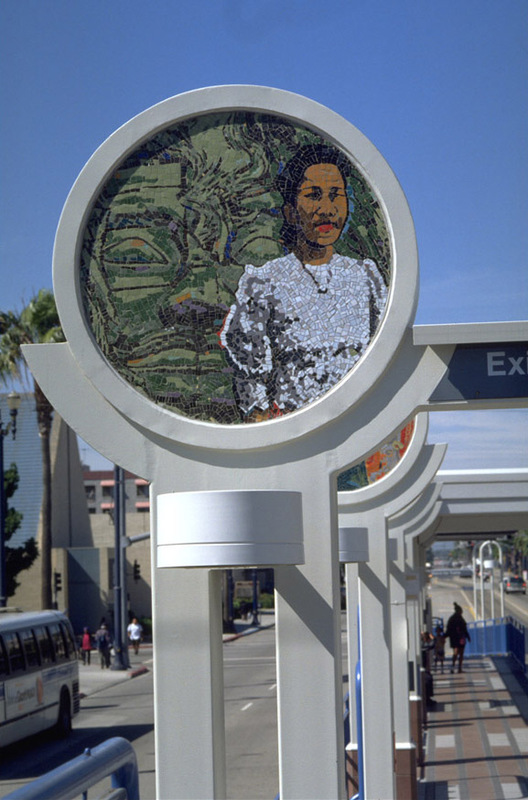 Twelve Venetian glass mosaic panels installed at the Pacific Station have been designed by artist June Edmonds and are titled, We Know Who We Are. 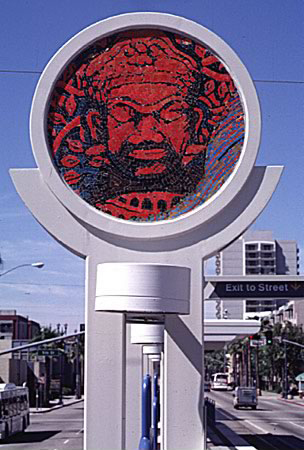 The images in each mosaic panel are derived from the artist's sketches and paintings of local people from the neighborhood surrounding Pacific Station and from their diverse cultural heritages. The focus is on what the major groups in the area—African American, Asian American (primarily Cambodian), Mexican American, and European American—have in common, particularly in family and everyday life. Six north-facing panels reflect contemporary scenes in the life of the many different peoples in the community while six south-facing panels consist of distinct icons which represent their cultural histories. This fusion of images of past and present commemorates the possibilities of life in today's complex society and promotes the unique contributions of each group. "I want them to uplift, inform, set straight and motivate people to know who they are and if they don't crack open a book and find out." JUNE EDMONDS grew up in the greater Los Angeles area but spent her childhood summers in New York. Part of her family is from Barbados, formerly the British West Indies. 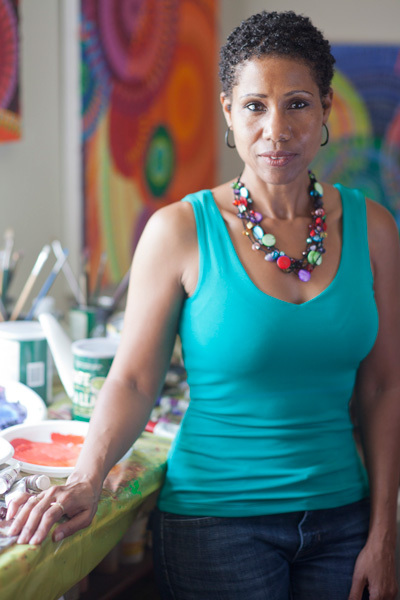 She studied art in San Diego and has a Master of Fine Arts in painting from the Tyler School of Art in Philadelphia, PA. She is part of Creation Woman, Artist’s Alliance of Southern California, and the Women’s Caucus for the Arts.